Paint, palette knifes, canvases, and more! This page is home for all of the favorite things I love to use. Check back often as I add more to the list! Click on each photo to get more information about each item. If you have any questions about any of these products or how I use them, please let me know! The heavy bodied acrylics work so well with a palette knife! Palette knives are my very favorite tools for creating loose acrylic paintings! I use canvases for both mixed media paintings and palette knife art. One of my very favorite adhesives for putting down mixed media papers and graphics. I use the Gel Medium matte version because I want my finished paintings to have a matte look. 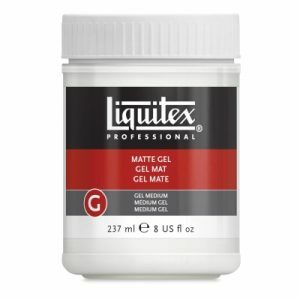 This can also be used to mix with soft bodied paints to thicken them up to help with creating texture. I use soft bodied acrylics and my favorite brand is DecoArt. The paints with the gold tops are the best! 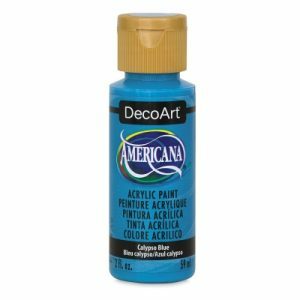 You can also add some molding paste or gel medium to this paint to give it a heavy body for palette knife painting. I use gesso to prepare wood panels, lighten up areas on my mixed media pieces, and prepare areas on mixed media papers before applying acrylic paints. These wood panels are perfect for mixed media papers, textures, and painting. They are super sturdy and hold up well with mixed media abuse like distressing, sanding, or layering. Glass beads is one of my favorite things to add to paintings. This stuff is like high class glitter! I love it! 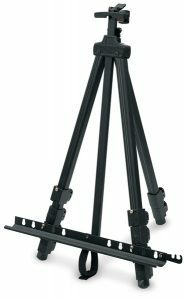 I use a simple lightweight easel that is adjustable, and easy to pack and go for an outdoor day of painting. I love adding paper doilies to my paintings. They can be used in so many ways! These pre-cut butterflies, birds, and florals are great for mixed media art! These butterflies are great when cut out and added to mixed media paintings! This book of scrapbook papers is one of my very favorites! Birds on this poster can also be cut and added to paintings! And this is another favorite book of scrapbooking papers that I use for mixed media paintings. These are great for adding an aged look to your mixed media pieces. The walnut ink pad is my favorite because it gives a good distressed look to pieces. 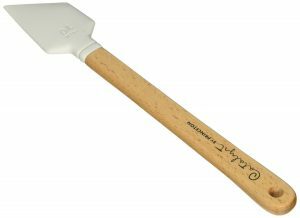 This spatula is my favorite way (besides my fingers) to spread gel medium. These unique shapes on these knives can help you create fun textures. Gelly Roll pens are great for adding fine lines and textures to your paintings! 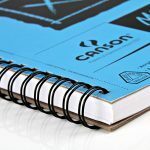 These mixed media sketch books are my favorite! Graphite paper can be used to transfer text onto your paintings. This is a great way to add wording! Rubber alphabet stamps are my favorite way to add wording to my paintings. 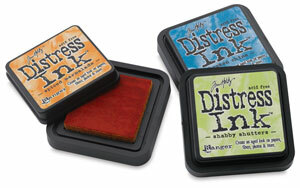 An ink pad is essential for your rubber stamping. Pitt pens are great for adding some details to your paintings. 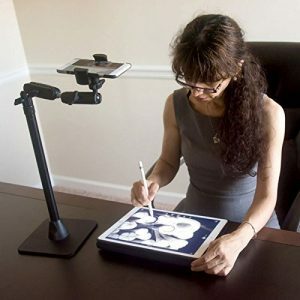 This is the camera mount I use for filming tutorials. And this is the web cam I use for all of my filming. This is the light kit that I use for all of my photos and video filming. I use PicMonkey to edit all of my photos for my website, Pinterest pins, and blog posts. I love it! Learn How I Use These Products! If you'd like to learn how to use all of these great products to create beautiful art, come join my online painting group!